The Pipiwai Trail- with its stunning waterfalls, huge bamboo forest, idyllic stream, and more beauty than you can imagine- is simply one of the best hikes on Maui. Located above the Oheo Gulch (Seven Sacred Pools), Pipiwai Trail is 4 miles roundtrip and gains 650 ft. of elevation. It takes anywhere from 2 1/2 - 5 hours to hike; depending how much nature loving you do. There are several great waterfalls along the route; the destination being Waimoku Falls, which drops 400 ft. down a sheer lava rock wall shaped like a horseshoe. If it's been wet in the area recently, you may find yourself surrounded by numerous small waterfalls on the surrounding cliff face. This is an absolutely beautiful falls and well worth the hike to access. The Waimoku Falls hike passes the 185-foot Makahiku Falls which is also beautiful. Basically, the hike to Waimoku is the Makahiku hike extended about 1 1/2 miles. At mile one you will enter the first of three bamboo forests. Because of the marshy ground, wooden boardwalks have been built to make hiking easier. Just past the third section of bamboo is the breathtakingly lovely Waimoku Falls with its steep fern-covered walls. You will probably have to cross the stream in two places before you can get right up under the falls. Please use extreme caution when crossing the stream, especially if it's been raining. Do NOT cross if the water is high or moving too swiftly. It's a very long way back if you do get injured; so just use caution when approaching the falls. As always, we also discourage visitors from swimming beneath the falls. Rocks frequently fall over this cliff face and the fall distance would make even a small pebble an unpleasant experience. With some precautionary measures, your hike will be both safe and fun. How would you like to experience this beautiful area of Maui? Sitting back and riding in comfort? Soaring over The Valley Isle with a birds-eye view? On the bicycle adventure of a lifetime? Or perhaps you'd rather lace up the hiking boots and hit the trail. No matter how you choose to explore, our handpicked tours are sure to impress. 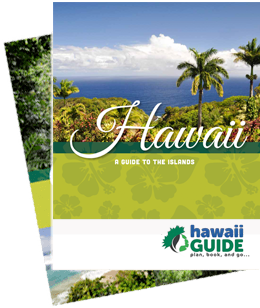 Here you'll find information on area waterfalls, Haleakala National Park, driving tips, and more to help you get the most out of your Maui vacation. Can I drive to the Oheo Gulch and back in one day? Hitting the trail is the perfect way to explore; in fact, it just might be our favorite! That said, in order to fully enjoy your hike you need proper equipment to keep you safe and comfortable. Pick up your hiking poles, boots, travel books, and more right here. And don't forget a selfie stick to get amazing pics of your Valley Isle getaway!